If you ask anyone at Mission Achievement and Success (MAS) Charter School in Albuquerque for the secret to their success, you’ll likely hear “data.” But it’s not just about collecting data. It’s about using data to enhance teaching. Hands-on data mining and collaborative problem solving helps MAS avoid the “data-rich and action-poor” conundrum that’s all too common these days. For two years running, MAS has earned the top score on their report card. This isn’t easy to do: Just 14% of schools receive that score from The New Mexico Public Education Department, which takes into account students’ yearly performance as well as measures like school growth and opportunities to learn. For teachers and leaders at MAS, data is an essential ingredient in the recipe for good teaching. Here’s how they use it—and how you can use data to understand what your students know, don’t know, and what you can do to help them. Collect data—in every shape and form. Using real-time data enables teachers to be nimble in their approach. They can immediately adjust questions and support for students depending on their needs. And the insights gained from looking at data in this way are even more powerful when shared with other educators. That’s why, at MAS, teachers discuss their findings with their peers and coaches on a regular basis. “We talk to each other during prep periods and often come to conclusions like, ‘We need to readdress this because we’re seeing the same common mistake,” explains Jessica Foerster, seventh grade math co-teacher. Dedicate time for digging into data and doing something powerful with it. Teachers need dedicated time to make good use of student data. If MAS leaders didn’t carve out the time and space for teachers to reflect on and improve their own practice—and to uncover students’ strengths and gaps—all the data reports and spreadsheets in the world wouldn’t make a difference. So, what does this look like? Teachers and leaders hold regular data meetings in which they identify trends based on data and student work, both within their classroom and across the grade. They look at student work, read texts, and solve math problems so they can put themselves in the shoes of their students and identify their students’ misconceptions. “I pretty much start by looking at the lesson and trying to do it myself,” says Alison Garcia, seventh grade math teacher, “thinking about where will students get stuck and where they will be really confused.” Based on data trends and common misconceptions, teachers make plans for small group and whole class remediation. Be patient: it takes time and consistent, hard work. While JoAnn and her team seem hard-wired to take action based on data, they know things won’t change overnight. 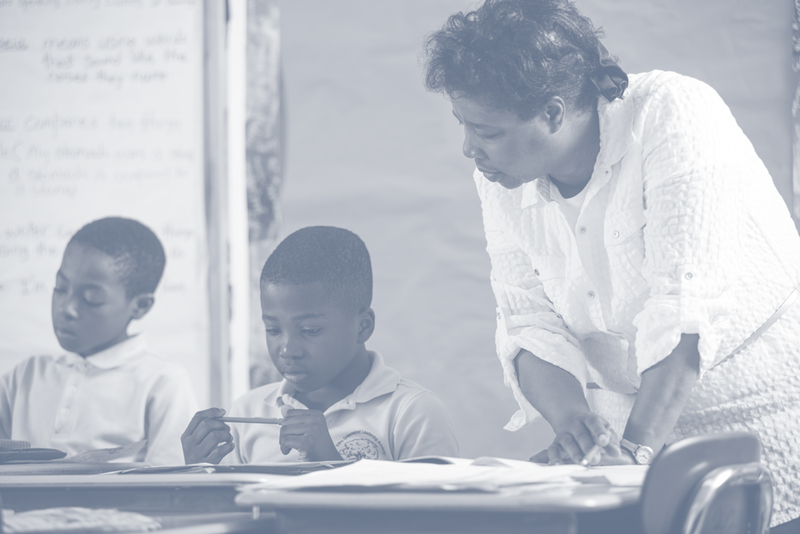 There are no quick fixes, JoAnn says, and while analyzing data is a powerful first step, she reminds her teachers that students’ scores won’t skyrocket overnight. Rather, this is an ongoing process of reflection and adjustment: a slow and steady push to make sure that students, teachers, and leaders are using data over time to inform what they should keep, start, or stop doing to improve outcomes for students. Sarah is the managing director of system advising and a former coach at ANet. Reclaim assessment as a tool for teaching and learning. Check out our new white paper on refining assessment strategy to save time, reduce volume, and increase quality.